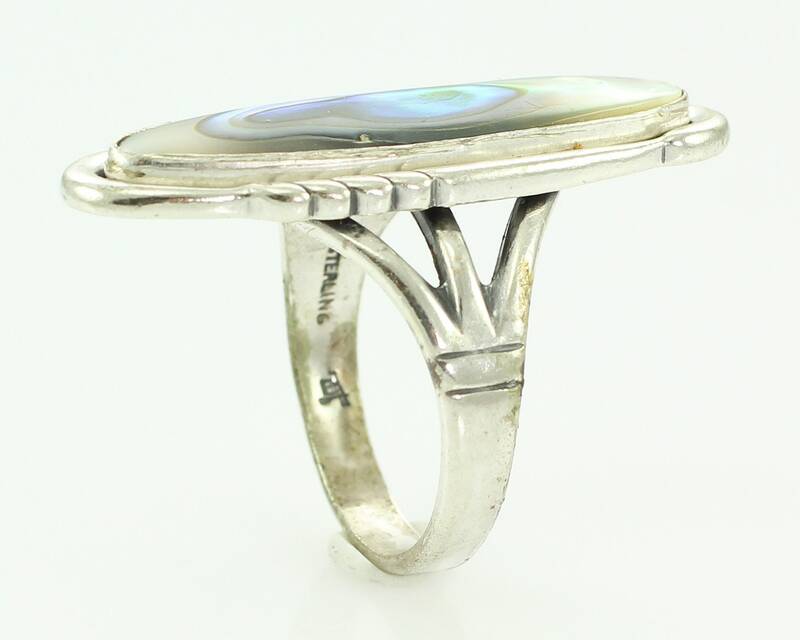 Vintage Abalone Sterling Ring by Bell Trading Company Size 8 New Old Stock. 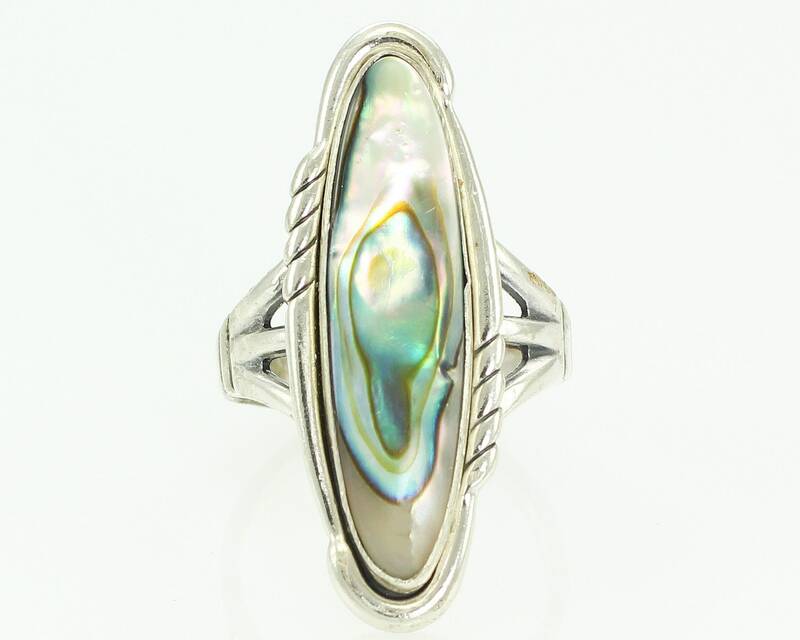 The abalone shell in this ring has beautiful green and blue colors against gray. It was made in the 1970s by the Bell Trading Company and is a beautiful example of the company's work. 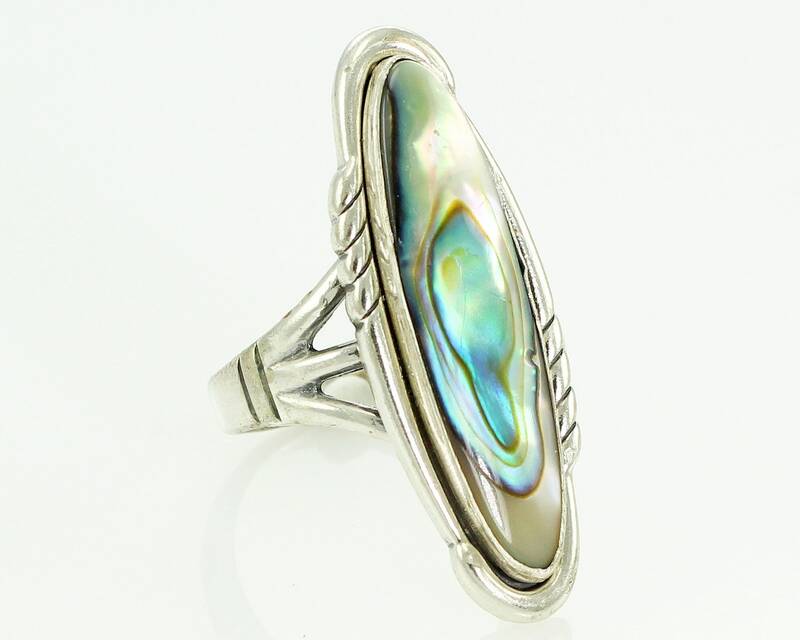 The head of the ring measures approximately 1 3/8" long and 1/2" wide. 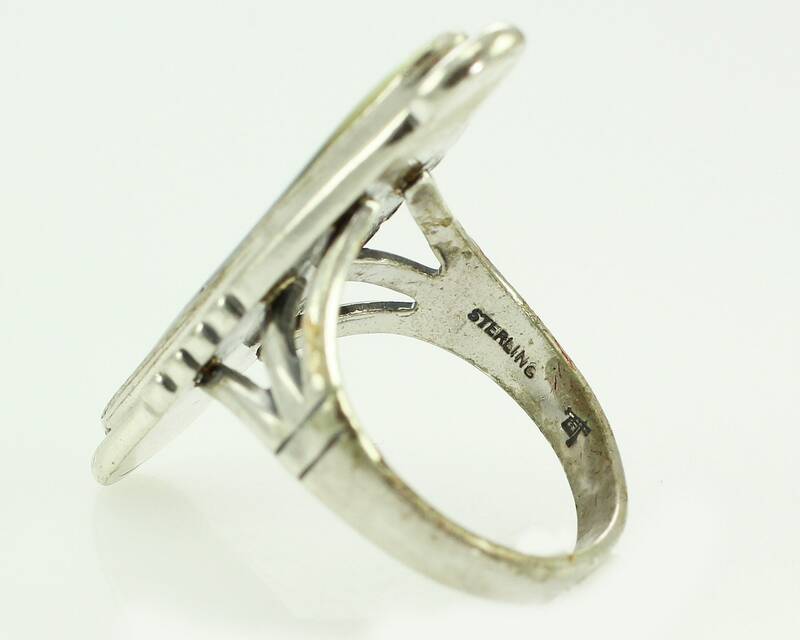 The ring is stamped on the inside of the shank Sterling with the trade post sign of Bell Trading Post. In excellent vintage condition. 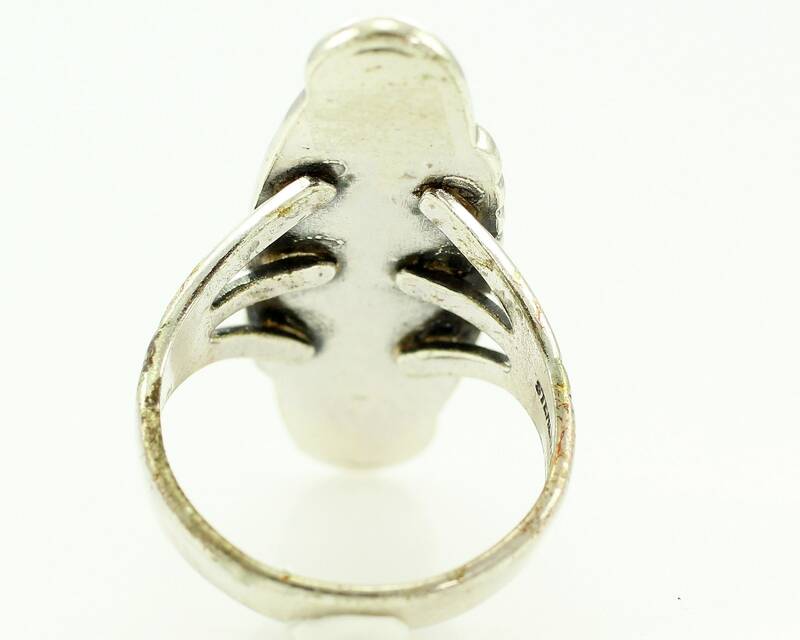 This ring is like new. HALLMARKS/HISTORY: Sterling with Bell Trading Post sign post mark used from 1961 until the closing of the company. Bell Trading was located in Albuquerque, NM. CONDITION: In excellent, unworn vintage condition, with no damage noted. MEASUREMENTS: Brooch measures 1 1/8” x 1”.